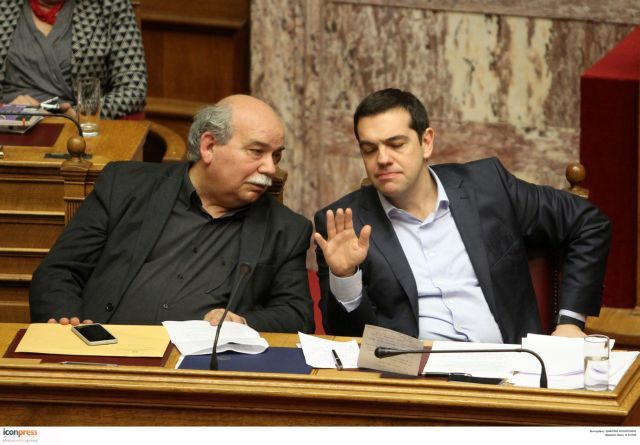 Prime Minister Alexis Tsipras has declared that not even one iota of parliamentary rules should be changed. Following an uproar against plans to change parliamentary rules to permit leaders of parties that have lost their parliamentary status (because their group dropped to fewer than five MPs) to retain their privileges, Prime Minister Alexis Tsipras has declared that not even one iota of parliamentary rules should be changed. The Prime Minister made his views known in a letter to Parliament Speaker Nikos Voutsis, in which he indignantly lambasted his critics. Tsipras hastened to reverse the government’s plan following charges from the opposition and the press that he was being blackmailed by his ex-junior coalition partner Panos Kammenos, whose Independent Greeks party is about to lose parliamentary status. Kammenos has been publicly attacking the PM for days.